Microsoft Introduces New Concept Of Virtual Entities. Get Details Here. With July update 2017, Microsoft introduced a new concept of “Virtual Entities”. A virtual entity is a custom entity connected to the external Data source. 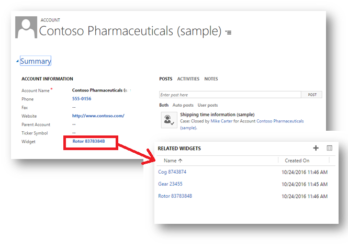 It looks exactly like a Dynamic 365 normal entity to the end users but in actual it’s referencing data from some external data source. 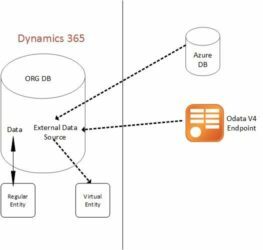 External Data Source Provider can be Azure SQL or on OData v4 data provider. These virtual entities are even accessible from custom applications developed using dynamic 365 SDK. So, we can say that Developers can now access external data while implementing plugins. 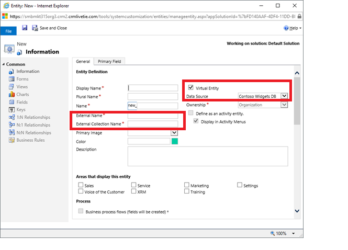 System Customizers will have access to settings to configure virtual entity data sources without writing any code. And end users can access that in Grids. Even virtual entities data can be retrieved using in Fetch XML query. Virtual entity data records are read-only. Fields level security is not possible. It does not support queues, change Tracking, duplicate detections, and offline capabilities. Auditing is also not possible. Cannot be used in the rollup and calculated fields. 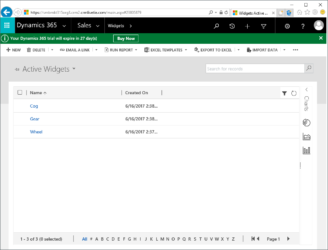 Cannot be used with Dynamic 365 Web Portals. Some of the screenshots are as shown below. Note: Information provided in this article is based on July 2017 Update Preview. This feature may change during release and is at Microsoft Discretion. Copyright © 2017 Defacto Infotech, LLC.